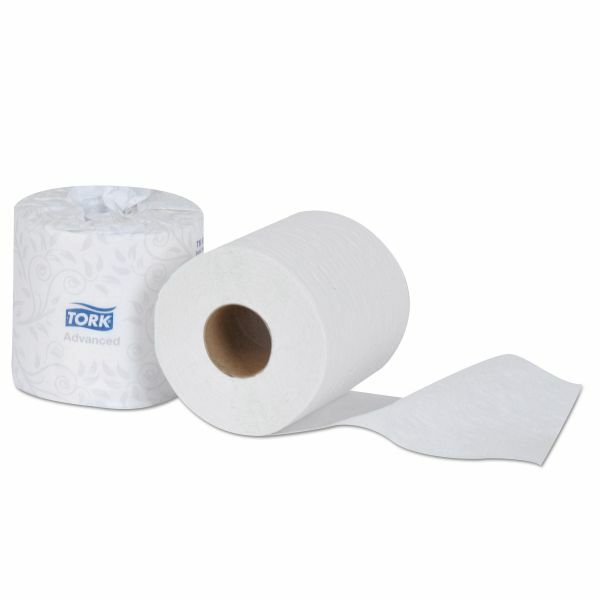 Soft and absorbent two-ply bath tissue has attractive embossed design. Easy start tail seal prevents waste. Elegantly wrapped rolls ensure sanitary protection. Rapid break-up capabilities are ideal for all plumbing systems. Tork Advanced Bath Tissue, 2-Ply, White, 500 Sheets/Roll, 48 Rolls/Carton - Soft and absorbent two-ply bath tissue with attractive embossed design. Elegantly wrapped rolls ensure sanitary protection. Easy start tail seal prevents waste. Rapid break-up capabilities are ideal for all plumbing systems.